Calling all Civic Engagement Enthusiasts! The International Association for National Youth Service (IANYS) is pleased to announce that its 9th Global Conference on National Youth Service will take place at the Bibliotheca Alexandrina (Library of Alexandria) in Alexandria, Egypt, from October 25-28, 2010. The Conference will be organized in partnership with the Bibliotheca Alexandrina, the John D. Gerhart Center for Philanthropy & Civic Engagement at the American University in Cairo (AUC) and Innovations in Civic Participation (ICP), the IANYS Secretariat. This global event is designed for organizations and individuals interested in creating high-quality youth service programs, advocating for government support in this endeavor, and/or undertaking evaluations and research of youth service programs, in the hopes of providing opportunities for young people to make a lasting difference in their communities. It is a wonderful opportunity for increased networking and collaboration among stakeholders in the region and to learn from other policymakers, practitioners and researchers from around the world, coming from well-established and successful programs and those just starting out in the field of national youth service (NYS). 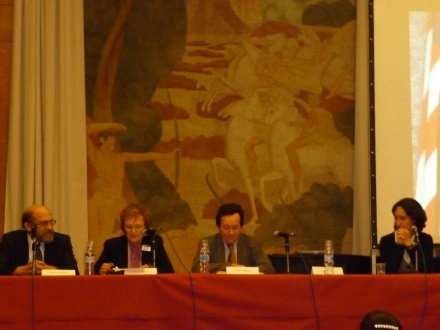 The IANYS Network, formed in 1996 included practitioners, policymakers, and other professionals from 48 different countries on six continents. It is actively working to encourage every country to consider the implementation of policies and programs that support youth civic engagement. IANYS also facilitates the exchange of information and best practices in youth service policies and programs and strives to address the spectrum of needs from professionals in the field of youth civic engagement around the world. IANYS is excited to bring the 9th Global Conference to Egypt and invites you to join us! Registration to attend the IANYS 9th Global Conference begins in April on the IANYS website and more information will be coming soon, including the preliminary conference agenda, workshop topics, and presenters. other professionals in the field of national youth service every two years in a different region of the world. It serves as a stimulating forum to share information and current developments in the field, nurture connections for developing future projects, and discuss the potential for scaling up national youth service for greater impact on community and youth development. For the important contributions to the field of national youth service that the Global Conference fosters, it continues to be one of the main cornerstones of the IANYS Network. Past conferences were held in the US, Nigeria, Papua New Guinea, the UK, Israel, Argentina, Ghana, and France. 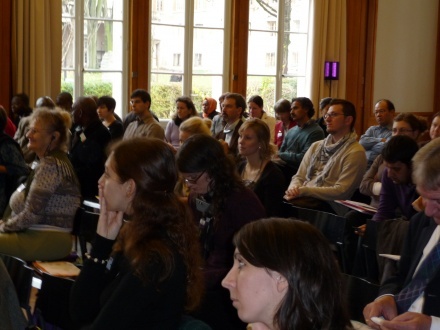 The last conference in Paris in 2008 saw the largest single gathering of participants and the most diverse representation of countries in IANYS history, with more than 120 participants from approximately 40 countries attending. The unprecedented success of the 2008 conference signals the growth of interest around youth civic engagement globally. More than ever before, young people from every corner of the planet are inspired and mobilized to take action on issues that matter to them. Holding the 9th Global Conference in the MENA region this year will no doubt have especially significant benefits for youth community engagement in the area. It will provide a great opportunity for increased networking and collaboration among stakeholders in the region who will then be able to use the ideas and knowledge that they have gained to spur the growth of youth service programs in their own countries and draw considerable attention to youth community engagement in the region. Furthermore, the Library of Alexandria’s prominence and its mission to be “a center of excellence for the production and dissemination of knowledge and a place of dialogue and understanding between cultures and peoples” makes it the perfect location to raise the profile of youth service in the region and facilitate dialogue and the exchange of ideas and practices among stakeholders from all attending countries. This event will no doubt provide a fresh burst of energy for the continuing global momentum of the benefits of youth community engagement for young people and communities everywhere. Participants at the 8th Global Conference for National Youth Service in Paris, France, in 2008. That Conference saw the largest single gathering of participants and the most diverse representation of countries in IANYS history, with more than 120 participants from approximately 40 countries attending. Participants of previous conferences reported that they felt better informed to advise their governments on designing, implementing, or improving national youth service policies and programs, or to present models and concepts on youth community engagement to governments just beginning to explore innovative and effective ways to invest in youth and community development. For further details on the IANYS 8th Global Conference held in Paris, France, the produced film and the detailed conference report are now available. If any readers attended the IANYS 8th Global Conference and would like to share feedback on the experience, we please ask that you share your thoughts in the comment box below. For more information on the IANYS 9th Global Conference, please visit the IANYS website or contact ianys@icicp.org. See you in Alexandria! This entry was posted in Resources and tagged American University in Cairo, Innovations in Civic Participation, International Association for National Youth Service. Bookmark the permalink. ← Freeze Home-Cooked Food, Save Money! It’s a good conference in view particularly for young people working to influence policies and decision making in their respective countries. See you all in Alexandria!